If you have been arrested for DUI or DWI, it is obviously cause for concern—but not for despair. By hiring a quality defense lawyer who can protect your rights, there are a host of ways your case may be defendable. That’s why it would be a good idea to consider hiring one of America’s DUI and DWI Defense Attorneys now. Here’s a few ways our lawyers may be able to win your case. Even if your case involves a drug, drugs, medicine or alcohol, they will help. ANONYMOUS REPORT OF DRUNK DRIVING – a car cannot be stopped simply because an anonymous citizen reported that the driver was drunk. BREATH TESTING IS INACCURATE – virtually all experts concede that one breath test alone is unreliable. Breath testing is subject to various inaccuracies, including a variance as much s +/- 12.5%, non-specificity for ethanol, etc. FAILURE TO PROVIDE SPEEDY TRIAL – If a client is not provided with a trial within a certain period of time, which varies between states, through delays of the court or prosecutor, the charges must be dismissed. BREATH TEST OPERATOR UNLICENSED – Most states require a Breath Test Operator to possess a valid, unexpired operator’s license, or the breath test result is inadmissible. BREATHALYZER MACHINE MALFUNCTIONS – Most states specify that if there is a malfunction or repair of the breath test instrument within a certain period of time before or after a suspect’s breath test, the results of the suspect’s test are presumed invalid. BREATH TEST OPERATOR LICENSE EXPIRED – Most states require that a Breath Test Operator must possess an unexpired operator’s license, or the breath test result is inadmissible. BREATH TEST DEVICE NOT APPROVED – A breath-testing instrument must be listed on the Federal List of Approved Breath Evidential Instruments and the ISP approved list of Devices, or the results are inadmissible. FAILURE TO PROVE DRIVING UNDER THE INFLUENCE – A defendant’s admission to driving, without more, does not prove a charge of driving under the influence. OFFICER’S PRIOR DISCIPLINARY RECORD – A police officer’s previous disciplinary record can be used to attack the officer’s credibility . PORTABLE BREATH TEST INADMISSIBLE – Most states prohibit the use of portable breath testing results as evidence at trial in a DUI case. FAILURE TO CONDUCT OBSERVATION PERIOD – Most states require that a driver be observed continuously for a minimum period, such as twenty minutes, prior to a breath test in order for the results to be considered admissible and valid. MEDICAL AND HEALTH PROBLEMS – Medical problems with legs, arms, neck, back and eyes can affect the results of field sobriety tests. 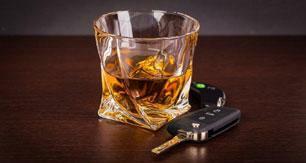 Further, other medical conditions can also affect the validity of breath test results. LACK OF PROBABLE CAUSE TO ARREST – A police officer must have specific and articulable facts to support any arrest for DUI, or the suspension will be reversed and the evidence suppressed at trial. INTERFERING SUBSTANCES – Many items contain forms of alcohol, which may cause false results, such as asthma spray, cough drops, paints, fingernail polish. These items can cause the breath results to be invalid. BREATH MACHINE NOT PROPERLY OPERATED – The manufacturers of breath testing devices have specified protocols, which must be followed for a breath result to be valid. Failure to follow these requirements will result in improper readings. STATUTES OF LIMITATIONS – A misdemeanor charge of DUI must be filed within a certain period of time (which varies between states) of the date of offense, or the charges will be dismissed outright. BOOKING ROOM VIDEOS – Many police stations videotape the testing process. These tapes may establish that the testing procedure resulted in inaccurate or inadmissible tests due to burping, radio transmitters, and other improprieties. DISCLAIMER: State laws may vary. 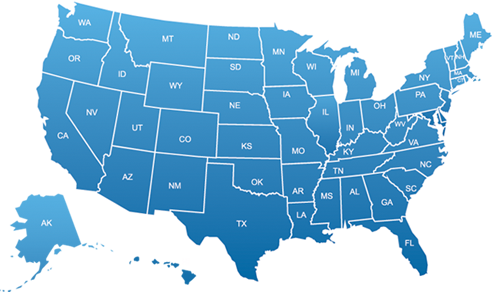 Please consult an attorney for legal advice on actual application in your state.